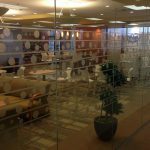 Window film is a cost-effective alternative to new windows. The best laid renovation plans can spiral out of control when unforeseen expenses crop up. Some experts advise allowing a pad of about 20 percent to cover budget overruns. Others recommend setting priorities, spending more on must-have items and saving on less permanent features. Whether you’re a homeowner or an architect, it’s important to think strategically when you’re working on a renovation project. New windows are a major expense in some remodels. If windows are beyond repair, they’ll need to be replaced. In other circumstances, you can save money by using window film rather than buying new windows. Here are three ways that film helps you stay on budget during a remodel. A basic tenet of remodeling projects is to refurbish when it makes sense. Professional installation on a standard-size window costs between $400 and $1,000. Depending on what part of the window needs fixing, a repair bill could run between $25 and $250 dollars. Patching up a wood frame, for instance, will cost just a few dollars. Replacing the sash is more expensive. Installing window film to increase insulation and reduce glare and solar heat makes economic sense. Cost per square foot for film depends on the project. Call us for a free estimate. Remodeling for energy efficiency is a trend in design and construction. Upgrades reduce power bills, increase comfort and conserve energy. New windows are nearly always more efficient, yet they don’t always save money. Replacing the windows in a home might cost more than $8,000. Your money could potentially go further if you invest in other updates. Spending $1,000 in insulation and sealed air leaks could net you comparable energy savings. If you repair windows and add window film, you’ll see improvements in efficiency. Window film deflects nearly 80 percent of solar heat, reducing the need for air conditioning and eliminating hot spots within a building. It makes sense to spend more on some aspects of a remodel. You wouldn’t want to replace wood floors every year or have new carpet laid regularly. Windows, too, are a long-term investment. If new windows aren’t in your budget now, window film is an affordable alternative. Film is durable and can last many years, but it’s also easy to replace if you decide you want a new look. Contact us for a free estimate. We can help you find cost-effective ways to give your windows more style and improved strength.